Burn This: A Play (Paperback) | The Drama Book Shop, Inc. 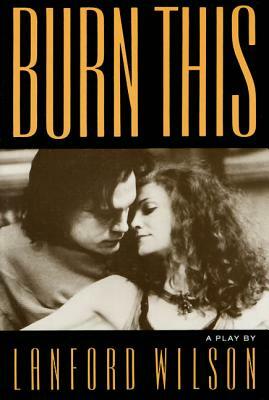 Commissioned by the Circle Repertory Company, Burn This first appeared at the Mark Taper Forum in Los angeles in 1987 to near-universal praise. Set in the bohemian art world of downtown New York, this vivid and challenging drama explores the spiritual and emotional isolation of Anna and Pale, two outcasts who meet in the wake of the accidental death by drowning of a mutual friend. Their determined struggle toward emotional honesty and liberation--by no means guaranteed at the play's ambiguous end--exemplifies the strength, humor, and complexity of all of Lanford Wilson's work and confirms his standing as one of America's greatest living playwrights.